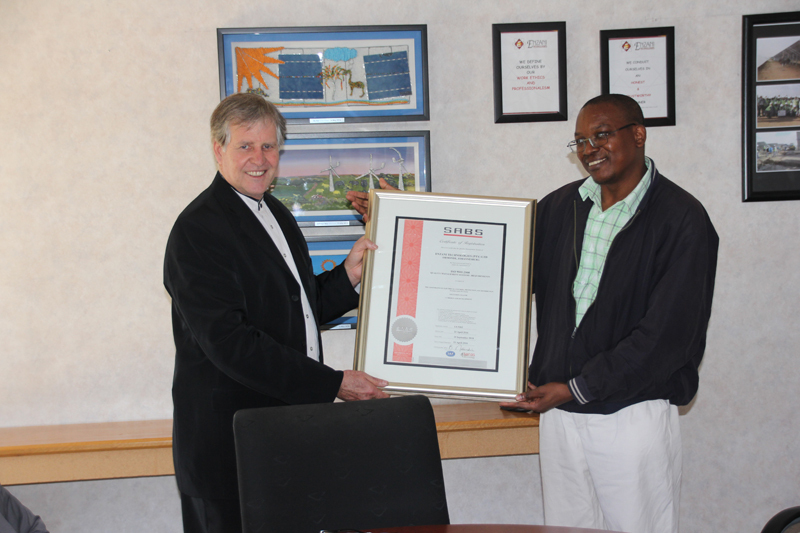 On 12 May 2016 Enzani Technologies have been awarded with OHSAS 18001, ISO 14001:2015 and ISO 9001:2008. 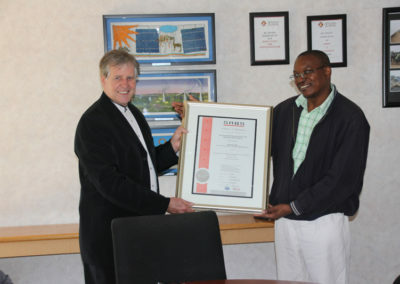 Enzani has attained ISO 9001:2008 certification and is listed on the South African Bureau of Standards (SABS) as a SANS 9001:2008 certified entity. Plans are in place to obtain ISO 14001 and OHSAS 18001 certification in the year 2016. We are committed to satisfying our customers by consistently providing quality services and products. We engage in sustainable development by delivering simultaneously lasting economic, social and environmental benefits to society. Safety, health and protection of the environment will form an integral part of our planning and decision-making. In the past ten years Enzani has done work for various customers on various sites ranging from solar plants, waste water treatment, mines, substations and commercial buildings. Regardless of the complexities of each project by way customer requirements, product requirements and various SHE hazards and associated risks, we have managed to maintain a clean SHEQ record with our customers. To date we have not suffered any major SHE incidents or fatalities. We are thus committed to ensuring zero harm to our employees, customers’ employees, the public and the environment. We will run our company according to a moral philosophy that strikes a well-reasoned balance between economic, social and environmental needs. Safety, health and protection of the environment will form an integral part of our planning and decision-making. We will be successful only when we achieve our targets towards Zero Harm, are valued by our host communities and provide lasting social, environmental and economic benefits to society. To view our video please clicks on link below. 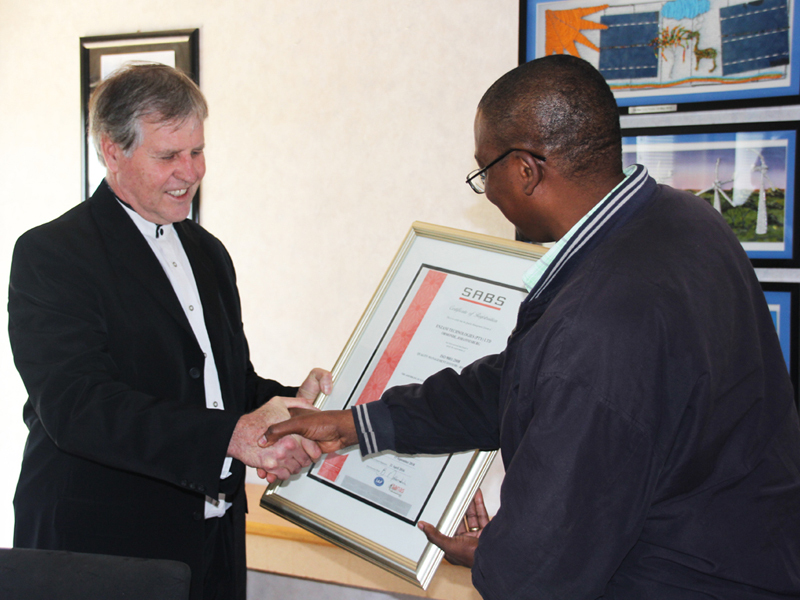 We are fully compliant with the BBBEE codes of practice. Our current BBBEE status is Level Three.